Posts are pretty thin on the ground for me right now with Christmas on top of birthday's it's manic but stick with me! It does mean you'll have to put up with mugshots of me in the mirror complete with pink dressing gown. Sorry about that. So anyway this is just a quick post but relevant. Pinterest - if you've not already got the app, get it. Search anything you want inspiration for, in my case it's pretty much always clothes! 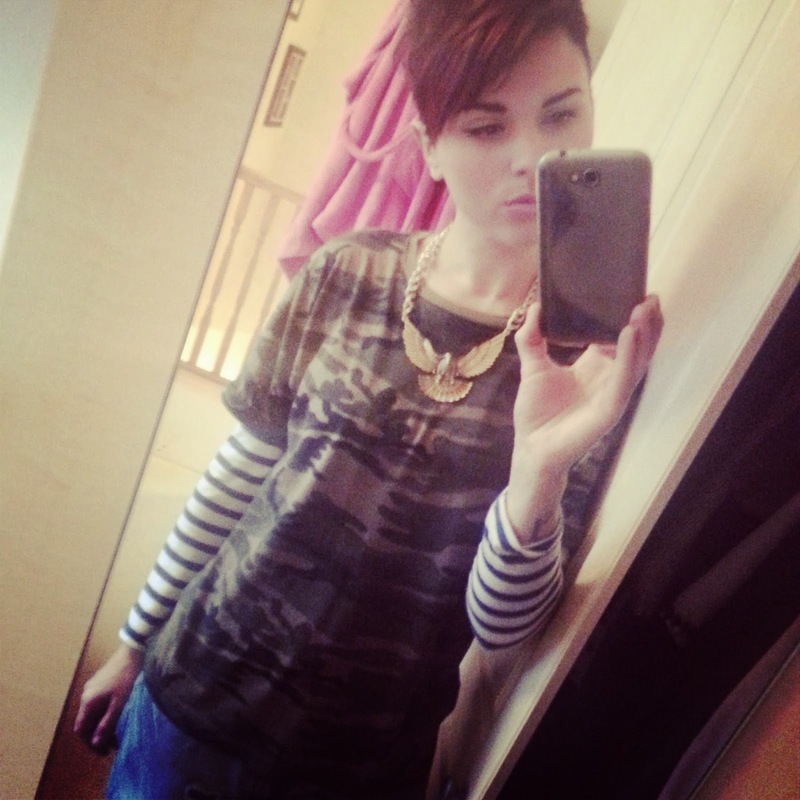 Breton stripes and camouflage layered up = warm, up to date and trendy in one. Perfect for a way to add interest into your everyday wardrobe. Add a statement necklace or scarf and bam you're ready. Living proof that a breton goes with everything! 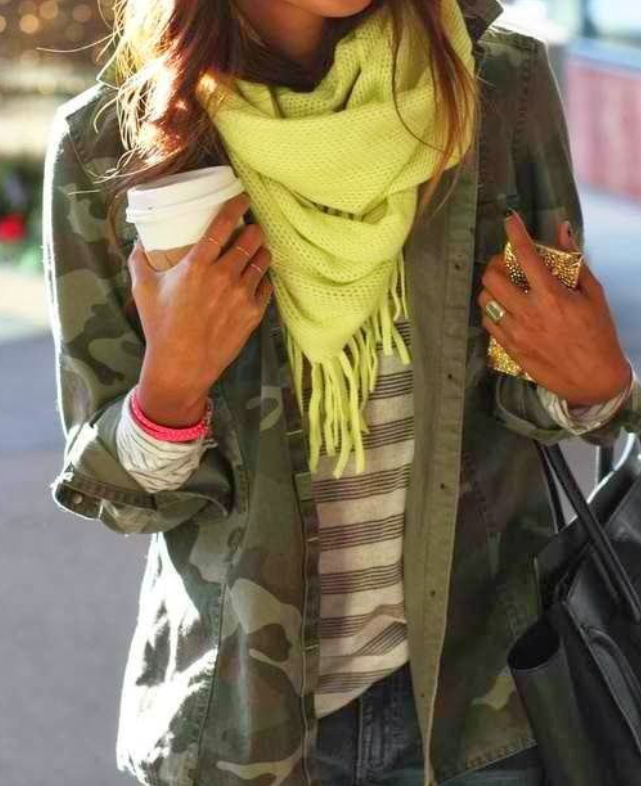 Love the dress with the military jacket!